Coffee brewing techniques. What’s the difference? New Year Eve 2017 Countdown at Mitzo & Bar Canary! Dessert lovers, rejoice! 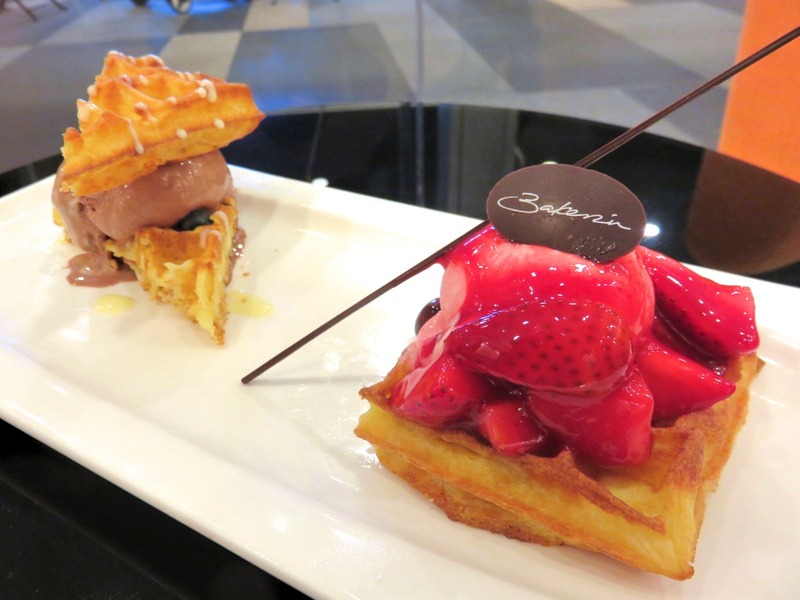 Bakerzin has recently launched its dessert lineup for 2018 and it features both long-time classics as well as a host of new creations. Each of them are meticulously crafted by their award-winning executive chef, Alex Yen, who has clinched the gold award for both Pastry and Pastry Art at this year’s Food and Hospitality Expo. Whether as a perfect ending to a sumptuous meal or as a mid-afternoon treat alongside a nice cup of tea, you can be sure that the desserts at Bakerzin are of top notch taste and quality! Here’s one for those who enjoy light and dainty flavours. 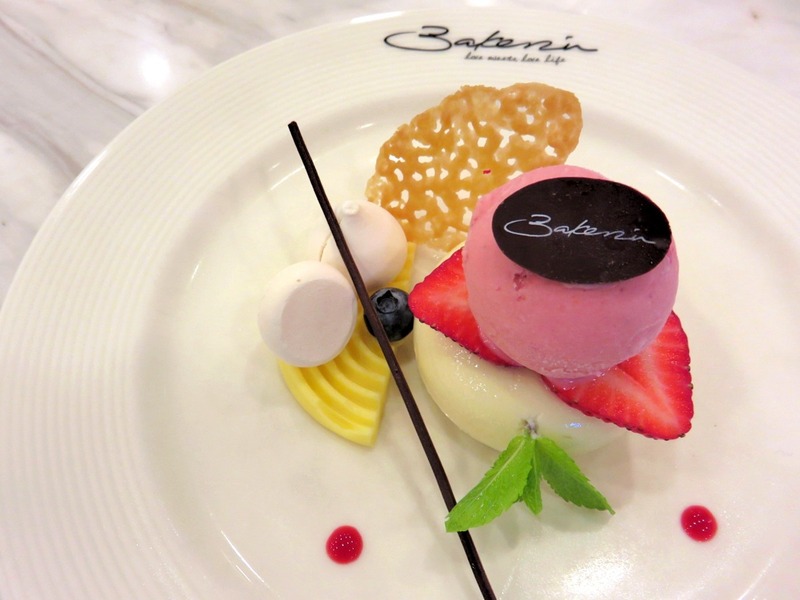 A delicately sweet and floral lychee mousse cake is topped with strawberry ice cream and fresh berries. Decorated with meringue drops, lemon cream and a crisp orange tuile (a thin French wafer), the entire plate just looks like a work of art. Plus, the mixture of pastel colours make it a beautiful addition to any social media feed! If you’re a fan of pistachios, you cannot miss this. Scoffing at other so-called pistachio desserts with barely a hint of pistachio characteristics other than a slight tinge of green, this concoction is just a massive wham-bam of intense pistachio flavours. 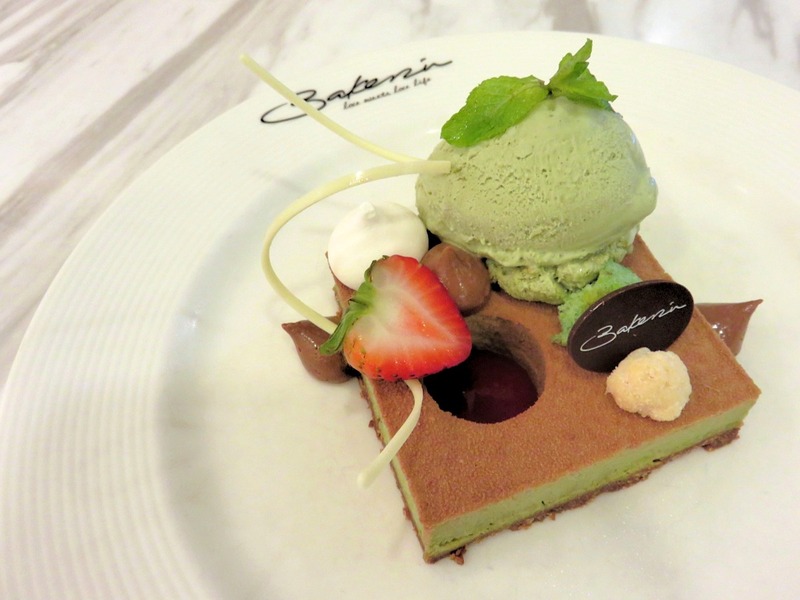 A smooth and creamy cake made of pistachio mousse is topped with a hefty scoop of pistachio ice cream. This is no joke, people. The tastes are extremely nutty and earthy, so pair it with a tangy and refreshing drink, perhaps! This baked delight is a mish-mash of textures that come together oh-so-perfectly. Crumbly pastry and a buttery tart base sandwich a layer of strawberry filling. The light fruitiness is a lovely complement to the rich butter pastry, and it’s all topped off with Chantilly cream, fresh berries and a dark chocolate swirl. Served with a quenelle of vanilla ice cream. Deceptively simple in its appearance, these waffles put most renditions from hipster cafes to shame. With airy, crispy edges and a wonderfully dense and buttery middle, these French waffles are an absolute joy to munch on together with the dollops of chocolate and strawberry ice cream. Did we mention all the delectable flavours of ice cream served at Bakerzin are lovingly homemade? A fan favourite, no doubt, lava cakes are common from restaurants all the way to convenience stores. 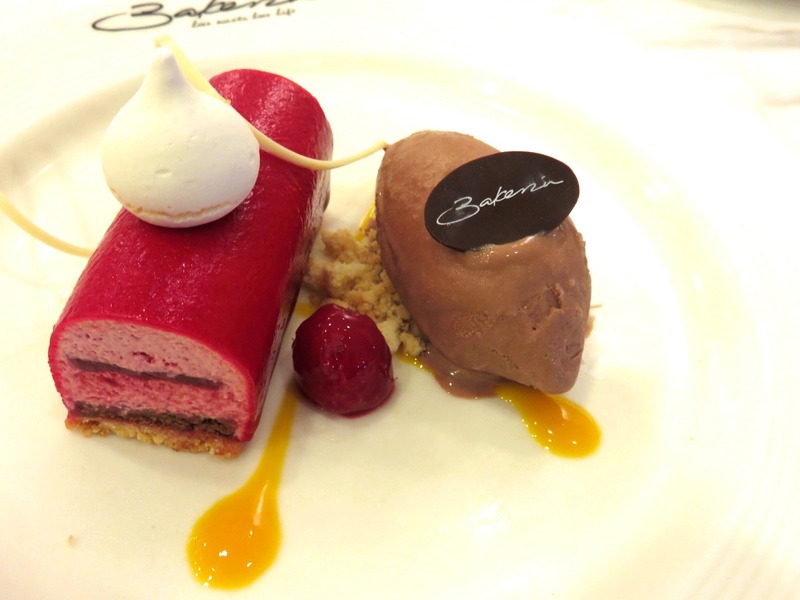 The mark of Bakerzin’s exceptional quality (made with Valrhona, no less!) lies in the sheer richness of their cake, with robust chocolate notes that will delight even the most discerning of chocoholics. The warmth of the moist cake and smooth chocolate sauce come together with the cold vanilla ice cream to create a match made in heaven. Looking like an exquisite jewel just glistening in the light, this dessert is definitely Insta-worthy. The body consists of strawberry and raspberry mousse atop a crumbly biscuit base. Draped over it is a gorgeous layer of berry glaze that shines like a ruby, complete with a meringue droplet and white chocolate swirl. Beware though, this falls on the slightly sour side, but the chocolate ice cream served alongside it will help! Souffles are notorious for being a huge challenge to execute, with one minor mistake during the preparation process causing the whole thing to (literally) fall apart. 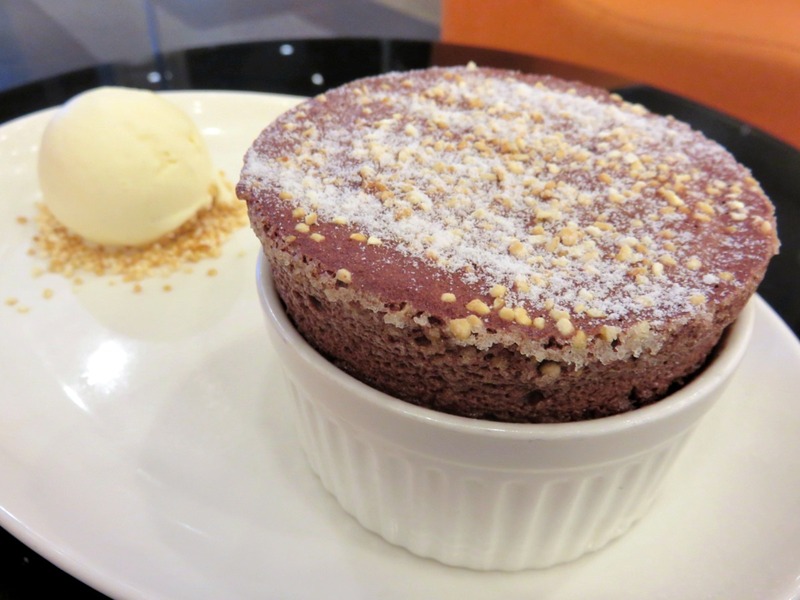 Bakerzin’s souffle is incredibly moist, almost too wet at certain parts. 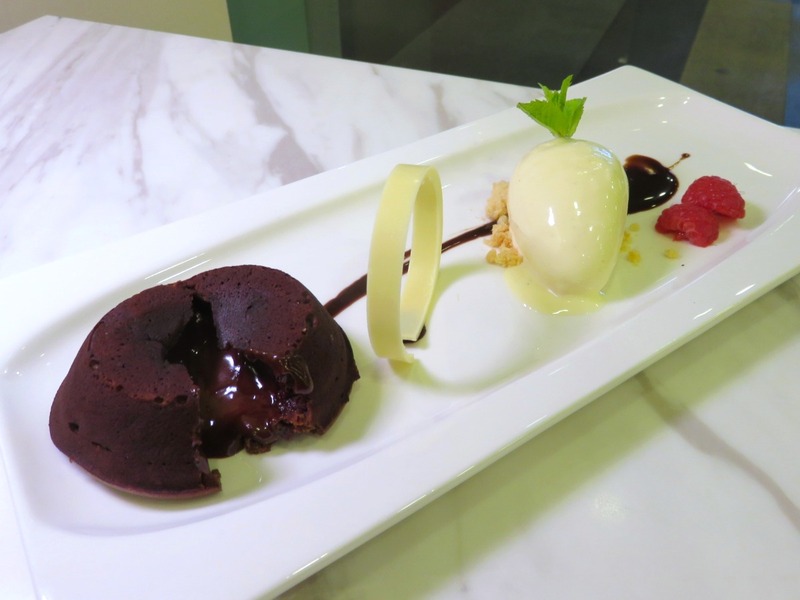 Similar to the lava cake, it’s super rich and chocolate-y and pairs well with the vanilla ice cream. Simple in its components, it’s actually quite substantial and will likely have you feeling very full by the end of it! When you’re hankering for something to satisfy your sweet tooth and delight visual senses at the same time, Bakerzin will not disappoint. What’s more, there’s something to suit any taste be it sweet, tangy, rich or earthy, so it’s a perfect spot to host a get-together with friends or family. For those who are after a complete meal before dessert, we highly recommend their signature carbonara as well as the sinfully crispy chicken wings. The batter of the latter was some of the best we’ve ever had! 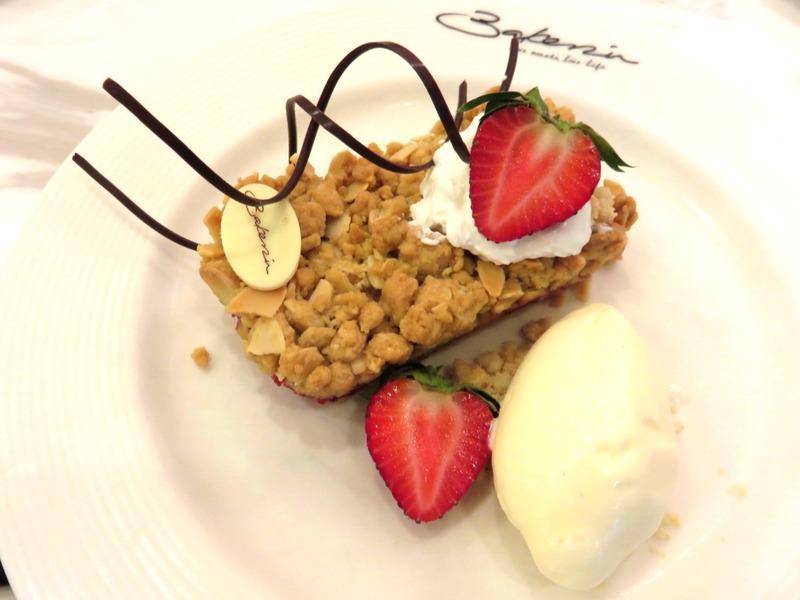 Bakerzin’s complete dessert selection is available at all of their branches throughout the island. Coffee & Cravings is a Meetup group for anyone who loves food and/or coffee. Let's get together to explore the cafes, restaurants and food events in Singapore!